When I was six years old, I climbed a volcano. My grandpa's sister ran a kimono shop and their house was right behind the store, so we stayed there. It was probably the first time I wore a kimono--and it was the only time I met my grandpa's mother, my great-grandmother. But back to that volcano. 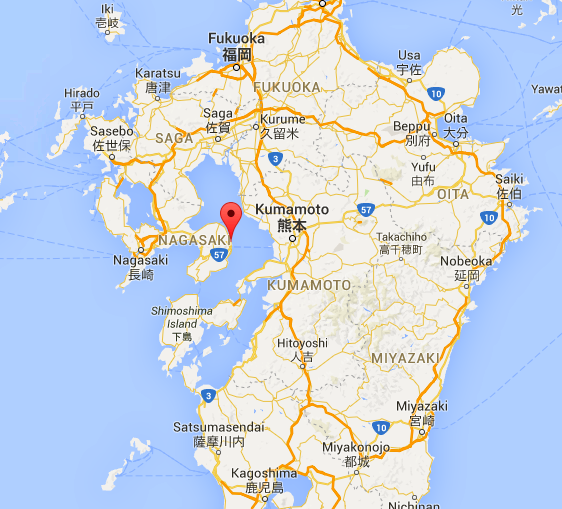 The year before this trip, Mount Unzen near Shimabara erupted. It was still incredibly active when we made our trip in 1992 and yet, somehow, there was a little restaurant on one of the volcano's slopes that hadn't been burnt to a crisp. I later learned that Mt. 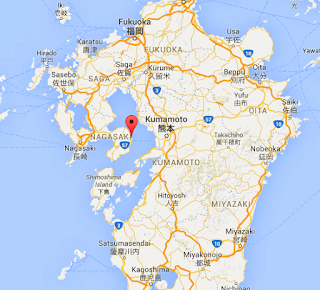 Unzen has more than one peak, so it may be that that place wasn't near the most active parts. But still! My mom's cousin took us there. I remember eating, then leaving the place, overhearing someone say, "There's supposed to be more ash soon! We have to go!" The houses and buildings along the road just under the volcano were all abandoned--they were covered in ash, some of them looked like they'd been on fire at some point. You don't forget hanging out near an active freakin' volcano. Wow! I would love to write about something like that. That's unforgettable. Was it hot up there at all? I don't remember if it was hot or not! I was trying to find pictures from that vacation, but I think they're all the way up on this high shelf that I can't reach. It's kind of sketchy at this point, but yeah, I was like, "Wait--we were on a volcano?!" Wow, that's a great memory to have. And no, that's something I'd not forget either.